Spriggles is the fun way to enhance your child’s self-esteem while increasing his or her awareness and knowledge of health, nutrition, activity, and exercise. 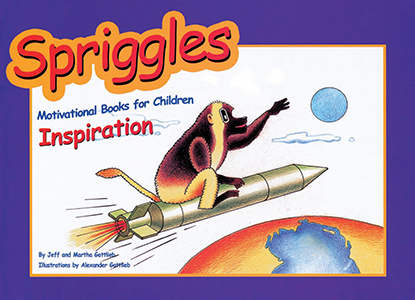 A combination of spirit and giggles, Spriggles weaves innovative stories with imaginative illustrations and playful rhymes such as “Keep on tryin’, Lion” and “Stay in shape, Ape.” It’s fresh, fun, and unique. 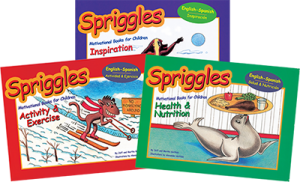 Nothing else motivates and educates young children ages 3 to 6 quite like Spriggles. 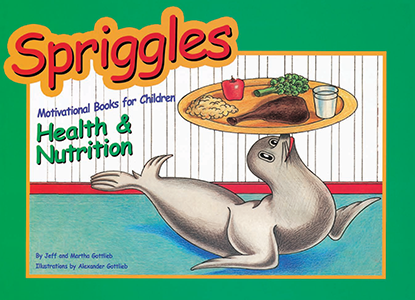 Combining “spirit” and “giggles,” Spriggles is the award-winning way to enhance a child’s self-esteem while increasing his or her awareness and knowledge of health, nutrition, activity, and exercise. These unique books weave innovative stories with imaginative illustrations and playful rhymes to create a memorable reading experience. 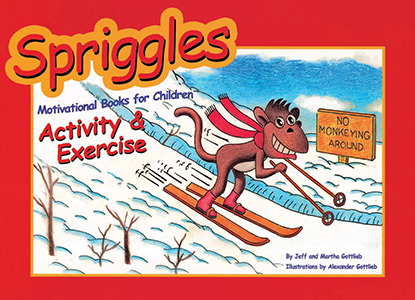 Fresh, fun, and creative, nothing else motivates and educates young children quite like Spriggles Motivational Books for Children. Responding to a need and desire in the marketplace, Spriggles is now available in bilingual editions, offering both English and Spanish text on the same page. Bilingual books encourage parents and educators to read in their home language, help children build vocabulary in both languages, and help children feel included. And perhaps most importantly, bilingual books show us that not only is reading a lot of fun, but so are new languages! Named an Educational Book of the Year by the Michigan Governor’s Council on Physical Fitness, Health, and Sports, Spriggles books can be found in numerous WIC, Head Start, PK-1, and child care programs throughout the country, as well as University Cooperative Extension curricula in the area of early childhood wellness. Spriggles provides young children critical stepping stones toward understanding the value of nutrition and physical activity.